The extra somethin’ is cinnamon chips. You can find these (sometimes) at your local grocery store in the baking aisle. They’re made by Hershey’s, so if your store doesn’t carry them, ASK THEM TO ORDER THEM!! They’re worth trying. And grocery store managers are usually willing to accommodate their customers. 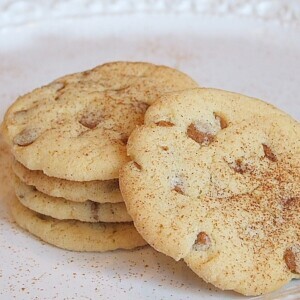 If you absolutely can’t find them on your own, King Arthur Flour’s website sells cinnamon baking chips too. 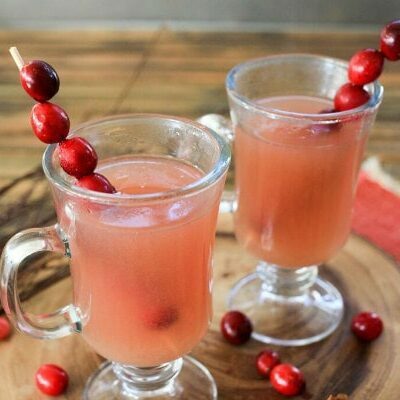 This recipe makes a ton, so be prepare to gift them to friends! 1. Preheat oven to 400°F. Lightly grease (or line with parchment) two baking sheets. 2. Make dough: In a large bowl, use an electric mixer to beat together shortening and sugar until smooth, then add eggs, again beating until smooth. Beat in vanilla. In a separate bowl, whisk together flour, cream of tartar, baking soda and salt. Add the flour mixture to the wet slowly and mix just until combined. (If you overmix, the cookies may turn out a little tough.) Stir in the chips. 3. 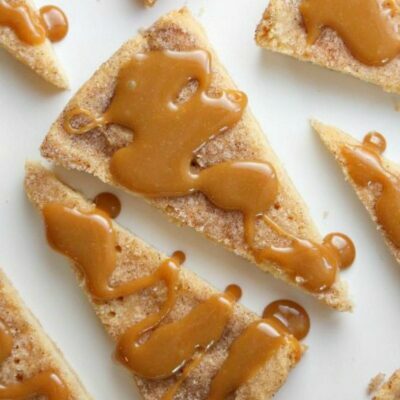 Shape cookies: Place cinnamon sugar in low flat bowl or cake pan. Roll dough into smallish (heaping teaspoonful) ball and put into the pan with the sugar. You can do about 6 balls at a time, roll them in the sugar and then place them on the prepared cookie sheet. Leave about 1 1/2 inches between each cookie (they do spread). 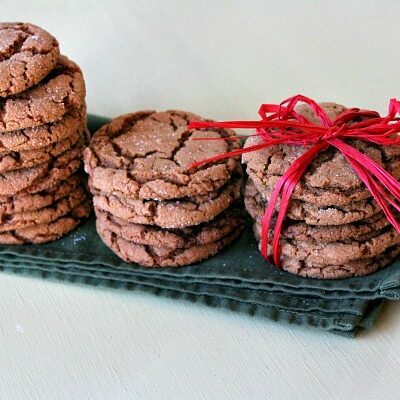 Using the bottom of a glass, flatten each cookie until it's about 1/4-inch-thick and 1 1`/2-inches in diameter. Repeat until you've used up all of the dough. 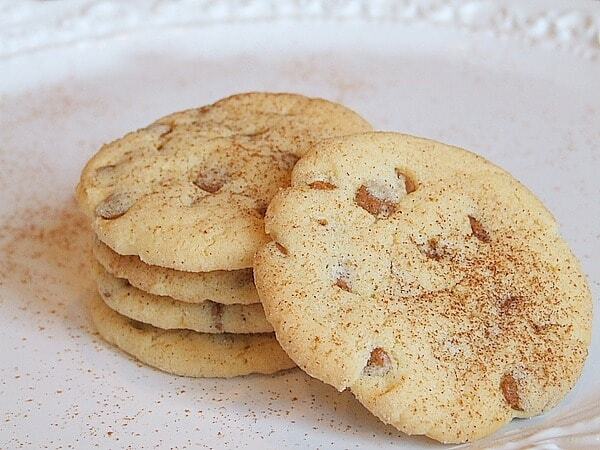 These really enhance the cinnamon flavour of these traditional delicious cookies!